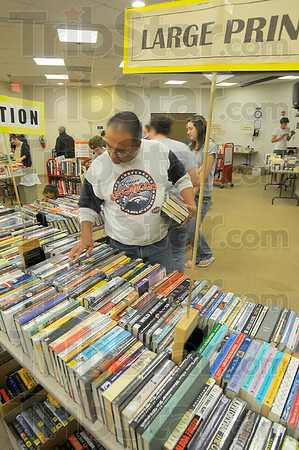 Borrowed and bought: Tom Quintanna looks over books to purchase in the Vigo County Library book sale Saturday afternoon. He holds books from upstars that he is checking out. He was looking for works of fiction by by Patterson and Clancy as well as Robin Cooks' writings "for the medical side".